HALIFAX, Feb. 11, 2019 /PRNewswire/ - DHX Media (or the "Company") (TSX: DHX,NASDAQ: DHXM), a global children's content and brands company, is bringing the weird and wild world of Dorg Van Dango to Nickelodeon International, having signed a new exclusive agreement with the global kids' broadcaster. Dorg Van Dango is a Canada-Ireland co-production from DHX Media and Cartoon Saloon, in association with Family Channel in Canada and RTE in Ireland. Originally published: Monday, February 11, 2019. KILKENNY’S multi Oscar nominated studio Cartoon Saloon has signed a new deal to create a major new animated series that will be broadcast across the world on the global kids’ network Nickelodeon. 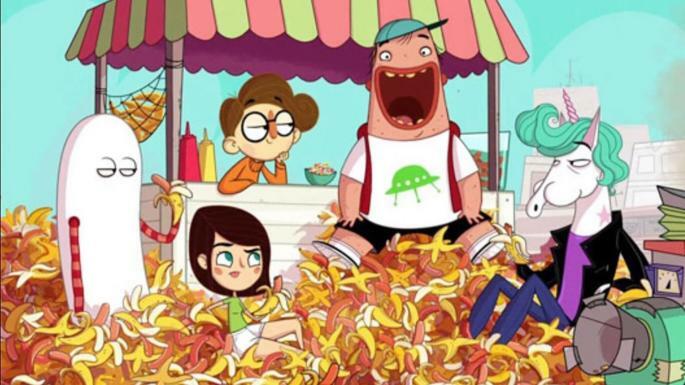 The series, Dorg Van Dango, is an Ireland-Canada co-production from Cartoon Saloon and DHX Media, in association with Family Channel in Canada and RTÉ. The Kilkenny studio, which has received a fourth Oscar nomination for its short film Late Afternoon, said: “So how about something totally different – yes we are making this awesome show that was created by the equally awesome Fabian Erlinghauser. Speaking at the announcement of the new series, Cartoon Saloon CEO Paul Young said: “I want to thank the very clever people at Nickelodeon for joining Cartoon Saloon and our wonderful colleagues at DHX Media on this journey to bring Dorg and his friends to an international audience. 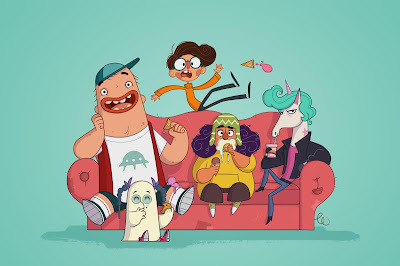 A brand-new animated comedy for six to 11-year-olds, Dorg Van Dango follows the adventures of Dorg, a normal kid, living in the very normal town of Normill, until he meets up with The Magicals: Jet Lazor, the super-cool unicorn; Patronella, an ancient witch; RD, a curious alien; and Yooki, an eerie ghost. They are all escapees from Area 51 and are in desperate need of help and refuge. In order to blend them in with the citizens of Normill, Dorg disguises them as teenagers and hides them in the basement in the local shopping mall. Additional source: The Sunday Times.